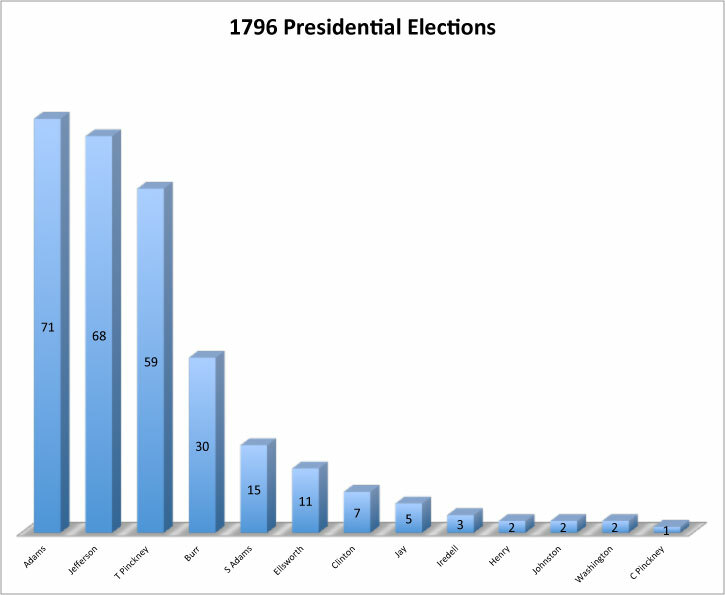 The presidential election of 1796 was the first disputed election. With Washington retiring, the two loosely organized parties; the Federalists and the Republicans, were ready to face off. The Federalist’s natural candidate was Vice President John Adams. The Republican Vice Presidential candidate was Secretary of State, Thomas Jefferson. Neither of the two candidates took direct part in the election. The two men remained on good terms throughout the presidential race. Their surrogates, however, became involved in a very nasty fight. Jefferson was attacked for not being religious and for his closeness to the French Revolution. Adams was attacked for being fond of the monarchy and for being too aloof. 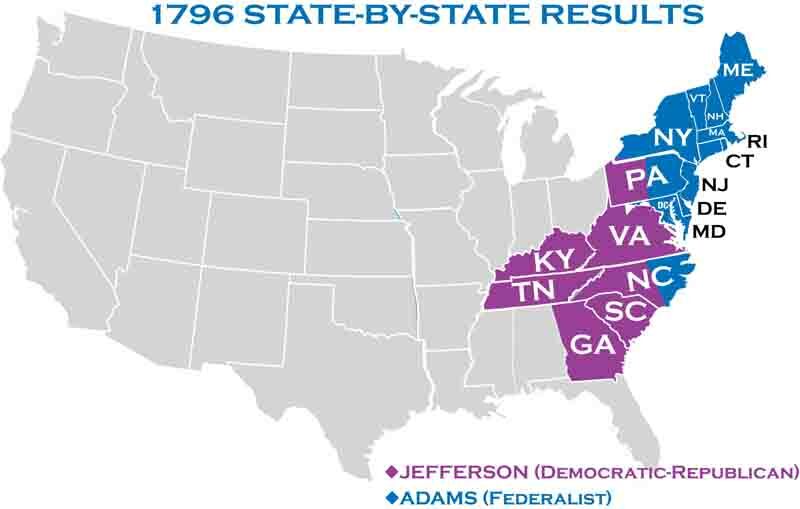 Adams won the election, receiving 71 votes to Jefferson's 68 votes. An oddities of this election came to light when the Electoral College met in February 1797. Two of the electors who were pledged to the Federalists voted for Jefferson. As was the case before the ratification of the 12th amendment in 1804, the runner up in electoral votes became the Vice President. Thus, Jefferson became the Vice President of his Presidential rival.